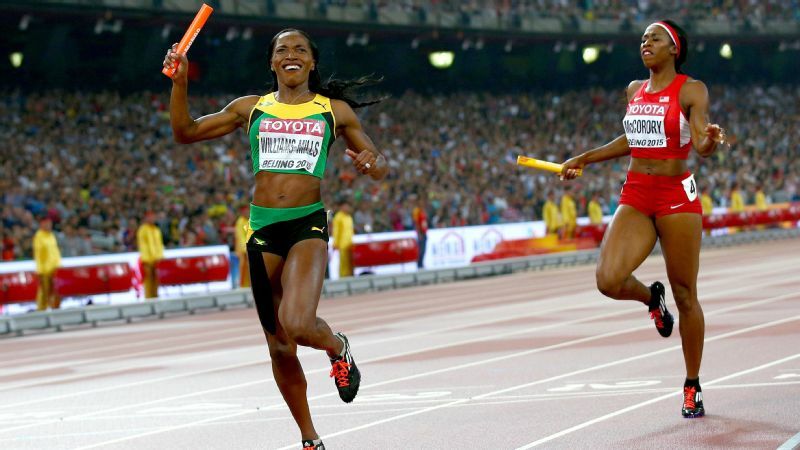 Novlene Williams-Mills (left) anchored Jamaica's 4x400 relay team at the 2015 worlds -- and the result inspired her to fight on past her health challenges. At the 2012 London Olympics, Jamaican sprinter Novlene Williams-Mills won her third Olympic medal -- a little over a month after receiving a breast cancer diagnosis. She had a double mastectomy shortly after the Games, but after recovery she has faced other health challenges. She told us about her rocky road to another Olympic Games. Are you sure you want me to run? That was the question I asked Paul Francis, the Jamaican 4x400-meter coach, just before I was scheduled to race the anchor leg for our team at the 2015 World Championships in Beijing. Not exactly the picture of confidence. 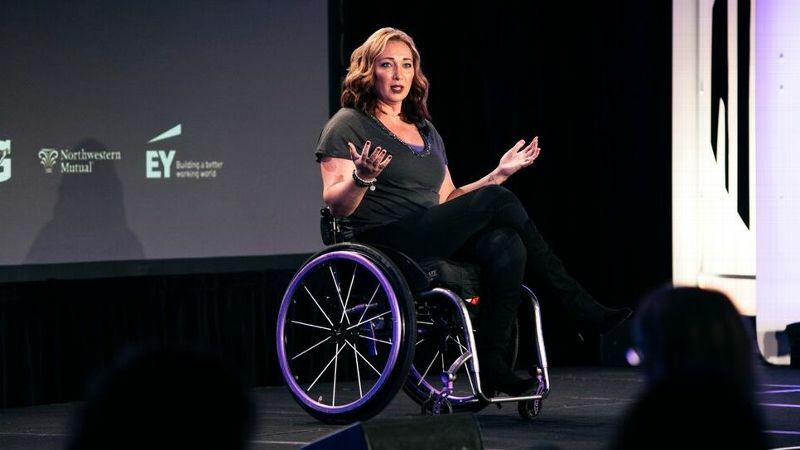 You would think winning an Olympic bronze medal in London soon after receiving a breast cancer diagnosis in 2012 would help me mentally overcome just about any future obstacle. But my body threw me a new curveball in the months leading up to worlds -- one that had immediate and debilitating side effects. In the spring of 2015, I started to experience extreme fatigue. I was struggling to make it through practices. I would go home, watch some HGTV and go straight to bed, only to feel drained when I awoke 10 hours later. My experience with cancer -- and the countless appointments and lab workups it entailed -- made me much more in tune with my body. I knew I needed to see a doctor. 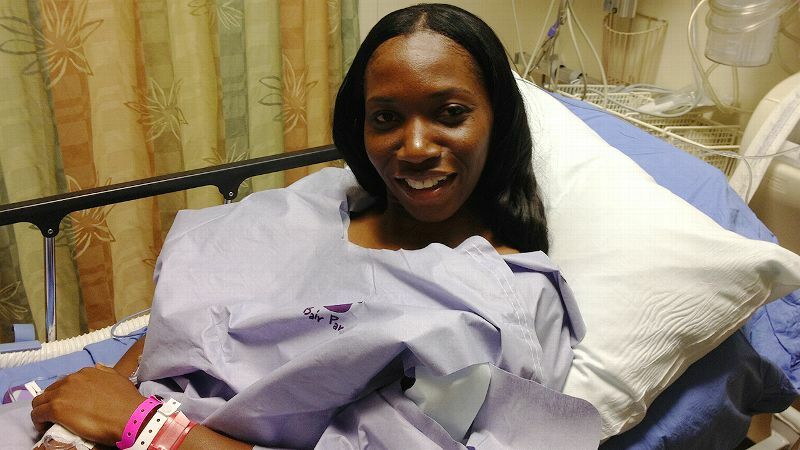 Novlene Williams-Mills had her final procedure for breast cancer in January of 2013, and returned to racing just three months later. I had no reason to believe my exhaustion had anything to do with my diagnosis three years earlier, but once you've seen firsthand the damage cancer can do, any trip to the doctor's office carries an element of fear. The what-ifs can be paralyzing. I was initially relieved when an endocrinologist determined a thyroid infection was causing my fatigue issues. Then I listened to her prognosis (you "might" see some improvement in six weeks) and completely freaked myself out by doing some Googling of my own (always a bad idea). I quickly realized how seriously the condition could hinder my ability to compete. My low point came at the New York Diamond League last June, just over two months out from worlds. On that day I couldn't even make it around the track, despite running 400 meters more times in my career than I can count. I told my coach, my husband and my friends that I was done. Cancer couldn't stop me, but a tiny gland in my throat had me wanting to leave the sport I loved. I had completely lost confidence in my body. While age tends to work against you in professional sport, it was my years of experience that told me I should avoid any rash decisions. I had won the 400-meter Diamond League crown in 2014 and the automatic entry to the World Championships that goes along with it. My friends told me it would be foolish to throw that away. "You have a bye!" they told me. "You don't have to compete at nationals. Stay at home, take it easy and get ready for worlds." But it wasn't until after a few weeks of rest that I gradually started to see progress. Would I be 100 percent for worlds? Definitely not. But, thanks to a lot of encouragement, I was willing to give it a shot. That brings me back to that moment with my coach at the worlds in Beijing. I told him I didn't think I was up for the anchor leg, the make-or-break leg, of the 4x400-meter relay. I had already reached the individual final and didn't think I had enough gas left in my tank. His response to my protests was simple: "You're good. I trust you." When the baton reached me, the United States' Francena McCorory had a 5-meter head start. I told myself I just needed to keep her in contact to have a shot. With 50 meters to go, her hands slowed. She was getting tired. Within seconds I knew we were about to bring home Jamaica's first 4x400-meter gold medal in 14 years. With my baton raised -- something I never do! -- I crossed the finish line and landed in the arms of my excited teammates. What a feeling! I was disappointed with my individual results, but in that moment, it didn't matter. That was why I came back from my cancer and the double mastectomy that followed. That was why I pushed through a thyroid infection. Our victory at worlds has kept me going. I started taking medication earlier this year, hoping it would help kick my thyroid back into shape in time for the Olympic trials at the end of June. I'm 34 now -- I know this is likely my last shot at the Olympics. I want to give myself the best chance of success. I've been through a lot in the past few years. Though I've always been reluctant to talk about my health, I've learned that sharing my struggles can be an encouragement to others. Of course, fans and supporters can also be an encouragement to me. Last fall I participated in a charity 5K in Jamaica, where I met Rushed Goodall, a 5-year-old girl with stage 4 bone cancer. Here's the thing: She was the happiest child I've ever seen. Rushed reminded me how important it is to enjoy every day, to enjoy my journey to Rio, no matter how I'm feeling physically. Once I walk away, it's gone forever.